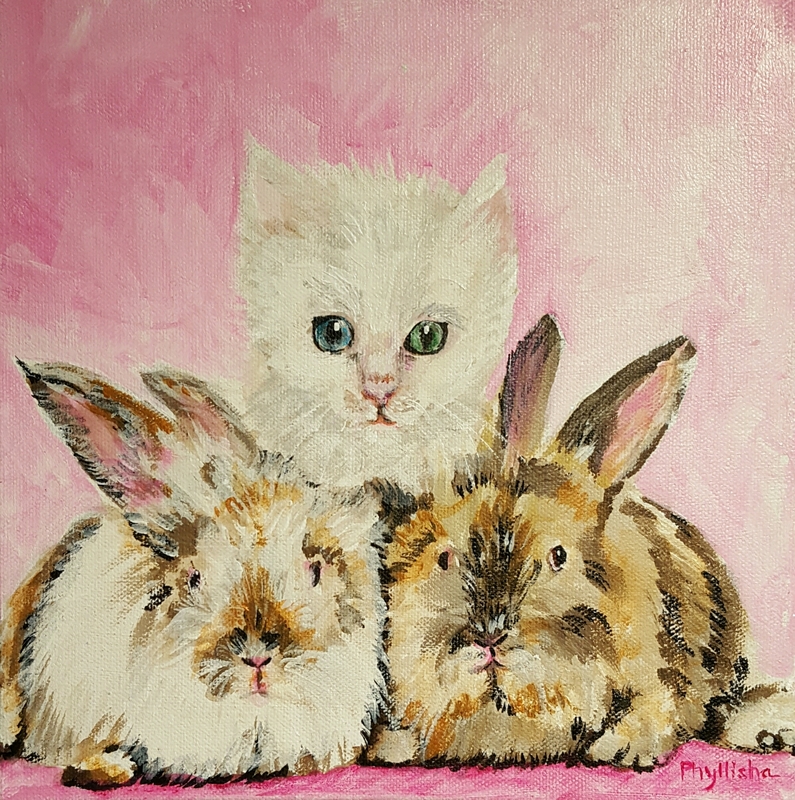 Bunnies in Love and One Kitten! 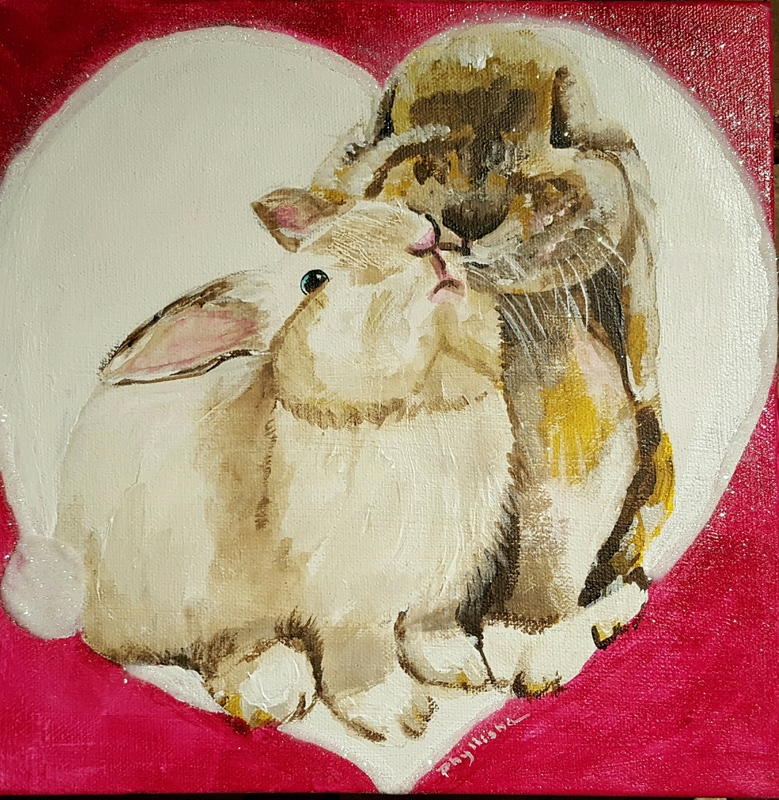 This is my Valentine’s Bunny Series. 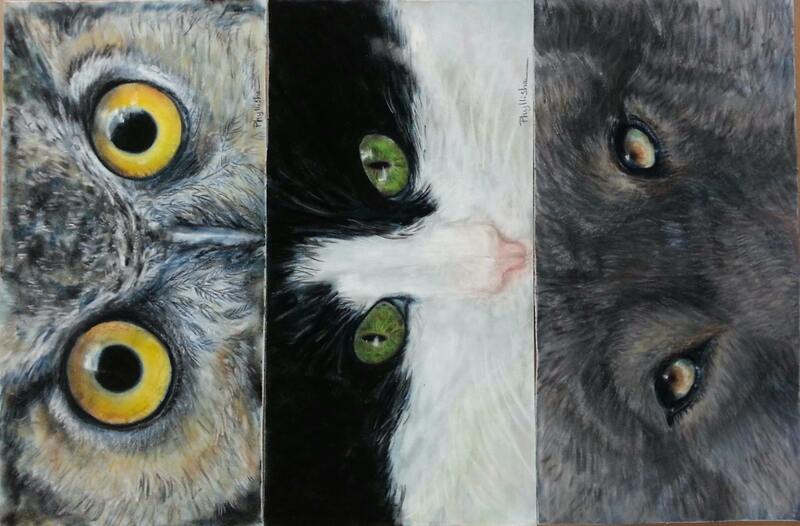 All 10″×10″ on gallery wrap canvas, acrylic and a little glitter. 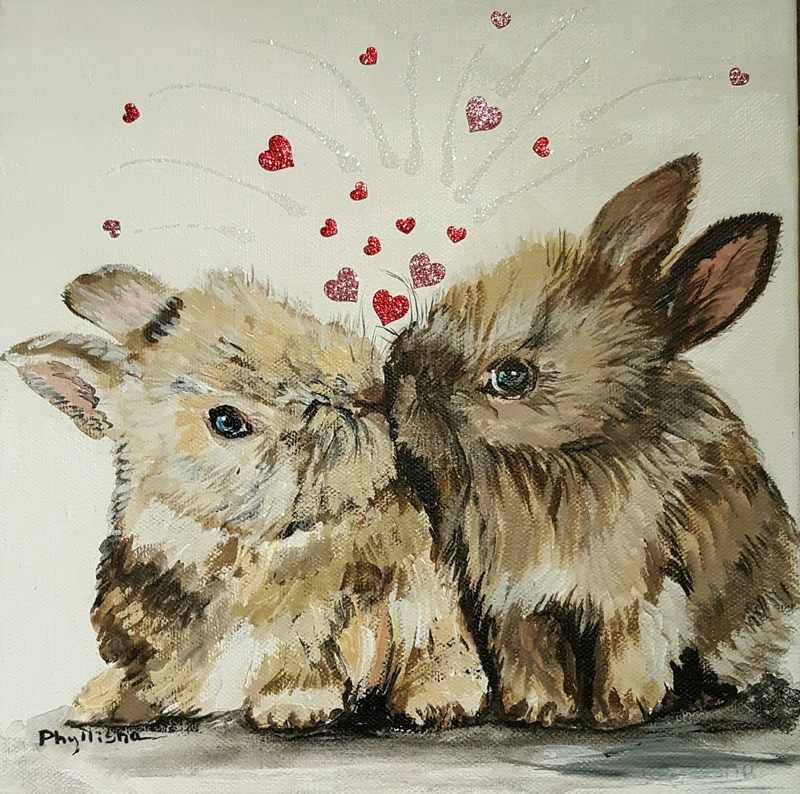 All proceeds will benefit the New Mexico House Rabbitt Society.